'Mystic Knights of the Sea' Lodge Sign from "The Amos 'n Andy Show"
Reproduction of 'Mystic Knights of the Sea' lodge sign from the vintage television series "The Amos 'n Andy Show." Made of solid wood with 2 hanging options. Raised front panel with router-worked edges, hand painted with gold leaf. Wood is kiln dried and 100% sealed. 18" tall, suitable for indoor or outdoor use. 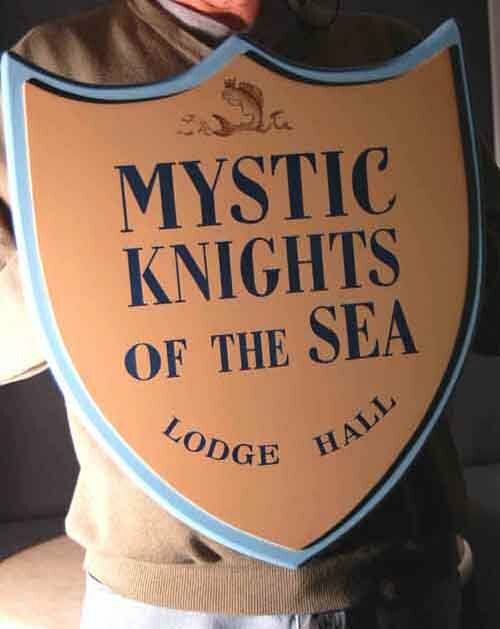 This is as near an exact reproduction of the "Mystic Knights of the Sea" sign that we could make. This is something I have always wanted but could not find. This is the sign that hung in the Kingfish's office at the lodge hall. There was also a slightly larger sign that hung outside the main door to the building. The "Kingfish" was the elected leader of the "Mystic Knights of the Sea". We actually talked to several people that were associated with the "Amos 'n Andy" TV show in order to get the colors right. No one could agree on the colors so we made our best guess based on the information we had. This is not a cheap novelty sign like you may expect but is a very high quality, hand painted, solid wood sign. The wood has much hand work with a raised panel and router work on the edges. The "Kingfish" logo is hand painted gold leaf. The wood is kiln dried and 100% sealed. It is suitable for indoors or outdoors. 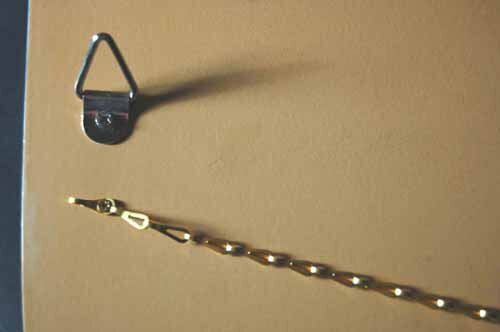 It has two options for hanging installed on the back. The low bid for this sign was $150.00 by a sign company in North Carolina! The only way we could get these made for less than $150.00 was to make them ourselves. We are very excited to be able to offer this Great sign to Amos n Andy fans everywhere :) This is a super high quality sign that you can be proud to display in your home or office. It is guaranteed to bring a smile to every face and last forever.